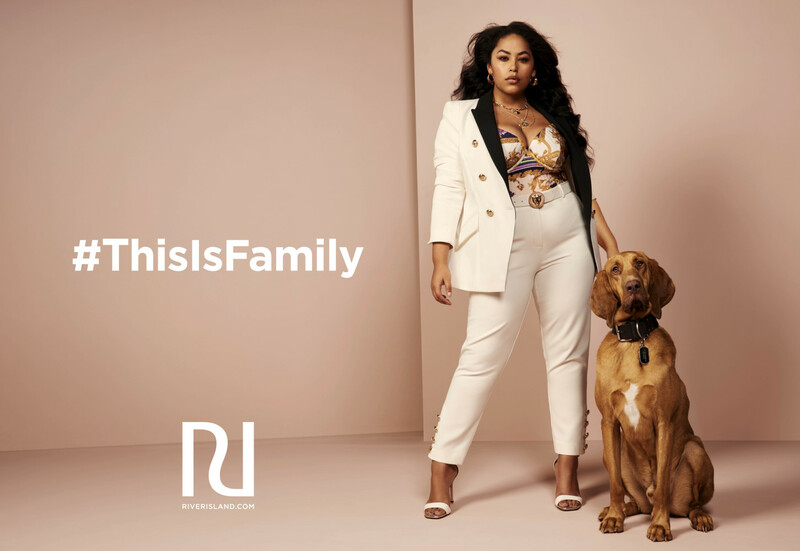 River Island are kicking off SS19 with a celebration of family. It’s not about the DNA they share, but the life, laughs and experiences. Biological or chosen, the modern family comes in all shapes and sizes and we can't agree more with River Island!! As a family business, this topic is not just a moment for RI, it’s the very heart of what they do and who they do it for – YOU! #ThisIsFamily is built on the foundation set by Labels Are For Clothes, a movement that celebrates individuality. This time they focus on a diverse set of families who are joined together and set apart by more than just style. Over the coming weeks River Island will be introducing you to their real cast who challenge the concept of family. They look beyond labels to spotlight the bonds that connect their groups and the values that make them unique. as well as our curve model Audrey and her dog Rameses.